For Te Wiki o te reo Māori 2018, we were privileged to have partnered with Spark, Te Aka Māori Dictionary and Google to support the revitalisation of te reo Māori. 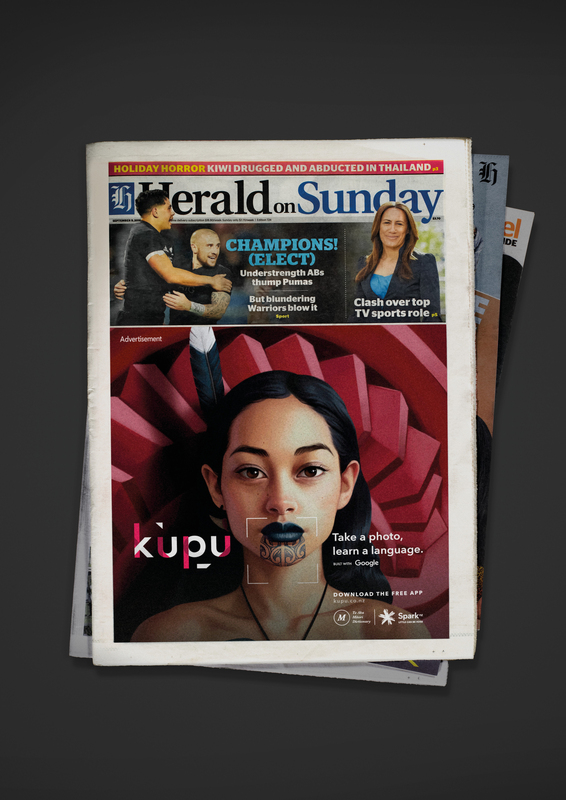 We launched Kupu – an app that translates the world around you into te reo Māori. 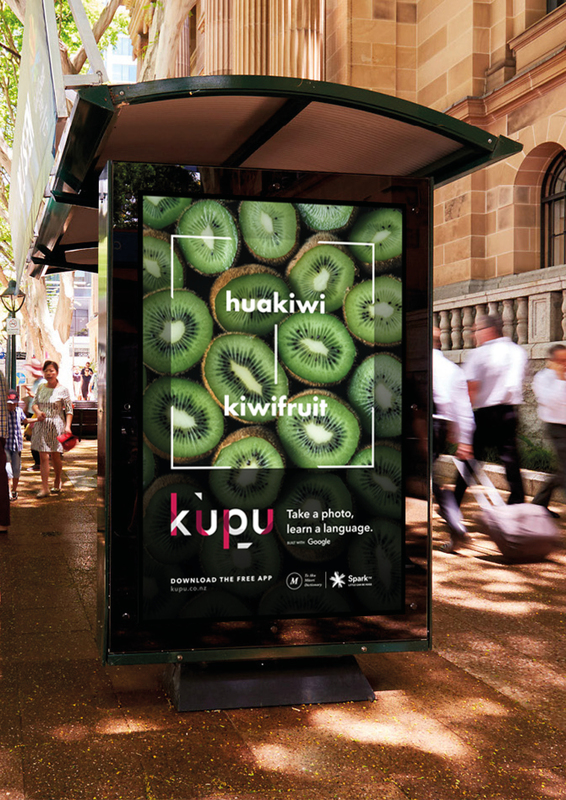 Using Google Cloud Vision and Translate APIs, supported by knowledge from Te Aka Māori Dictionary, Kupu uses Machine Learning to understand objects in your photos and translate them into te reo Māori, in real time. It serves up the most likely translation and pronunciation, then provides other options for what it detects in the image. In the first two weeks of launch, Kupu had 120,000+ unique users, 2 million translations and 2.5 million+ audio plays. Kupu was the #1 trending app on The App Store and Google Play, with an estimated earned media reach of 6.4 million. Most recently, Kupu won the 2018 Supreme Māori Language Award at the National Māori Language Awards, held to recognise initiatives that are revitalising te reo Māori in New Zealand.